Foot Levelers has teamed up with Florsheim. A remarkable combination of style, comfort and high quality workmanship with the proven support of individually designed functional orthotics. 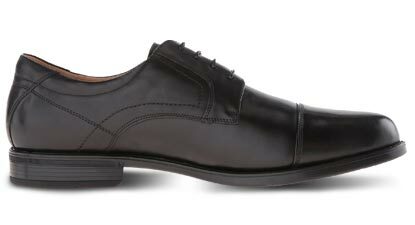 From the office to special occasions, this dress shoe is a must-have. In addition to its smooth leather upper and meticulous craftsmanship, this style features unique technology for exceptional comfort and support. smooth, leather upper. Suedetec moisture-wicking lining.